← The Tentmakers Have Arrived! 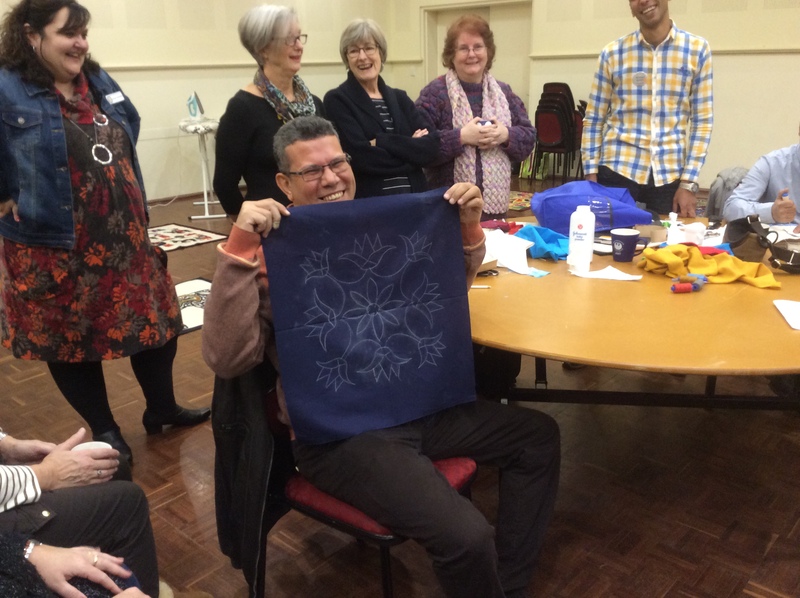 Today was the second of the Tentmakers workshops and was just as amazing and productive as yesterdays. The speed and skill that is demonstrated is awe inspiring. The gentlemen are delightful teachers and very concerned that everyone is as capable as can be with their piece of work. Today we gave away another $100 voucher and it went to Sharon Trainor who unfortunately had already gone home feeling less than desirable. There was one kit left over so that too was given away to our membership guru Helen Perlman. Congratulations ladies. 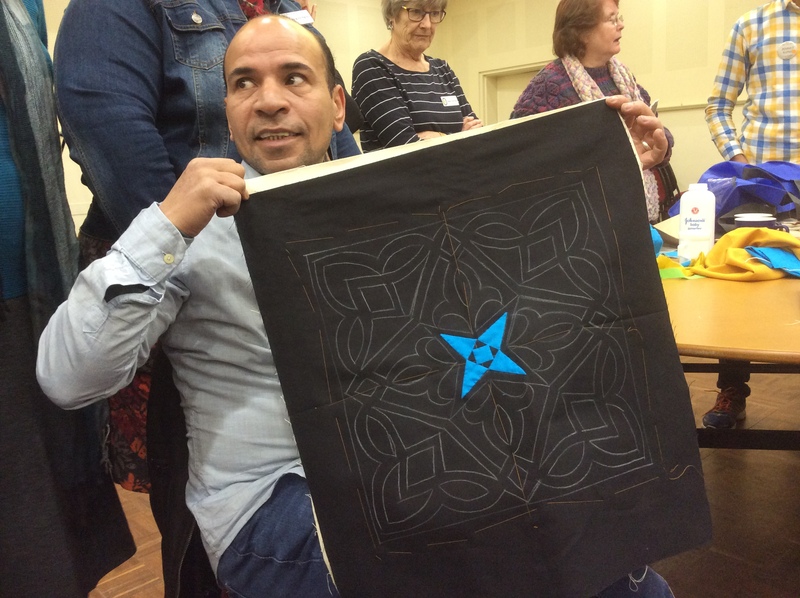 Fabulous workshop and day; many thanks for sharing your wonderful talents and traditions with us; Inspiring; thoroughly enjoyed myself; truly enjoyable workshop; I have now found a way to applique that I love…. We are now looking forward with great excitement to see the whole exhibition and to let you come and admire and purchase the quilts. Thank you to all the 40 attendees at the workshops. You are the ones who made this visit possible. You now have a very special experience to treasure. Below: Hosam with the design fully drawn on. Below: Essam with the first part appliqued. 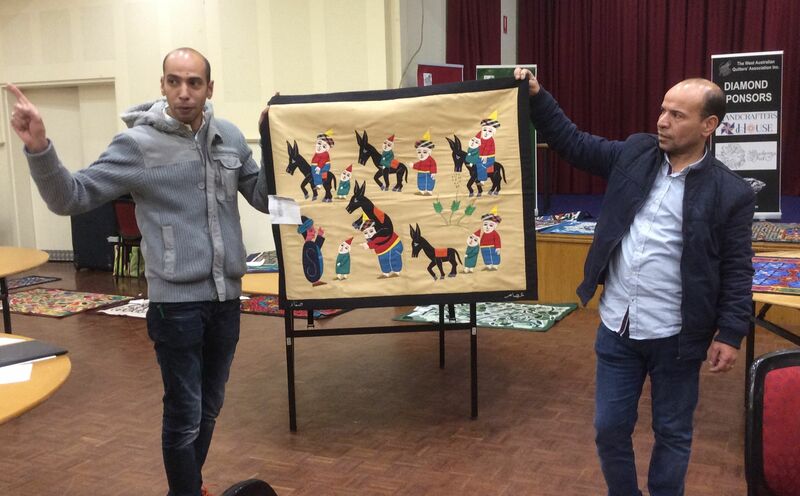 Below: Ahmed and Essam telling the story of the boy, the man and the donkey. 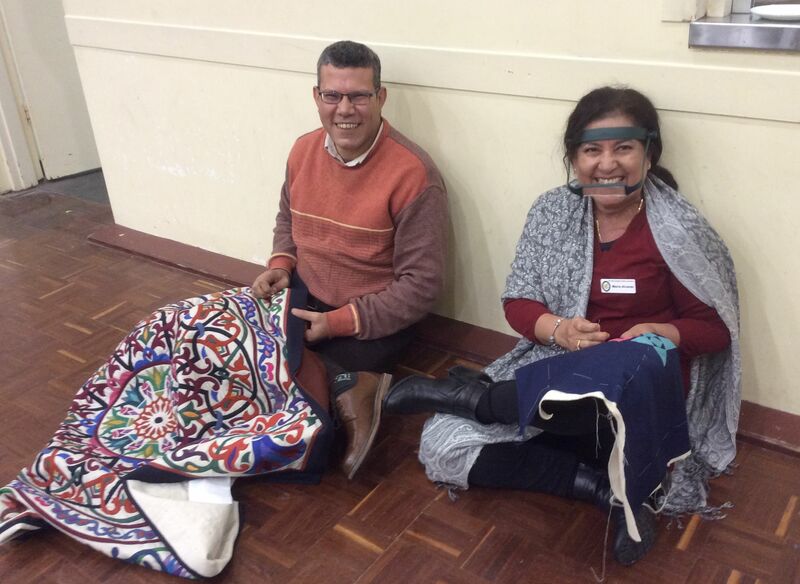 Below: And at the end of the day there is nothing more relaxing than sitting in a yoga position on the floor (the floor being crucial to support the quilt) and stitching on the hanging sleeve. The sleeve was appliqued just like the rest. Marie couldn’t wait to try it too. Thank you all for 2 wonderful, memorable days.